An introduction to the world of freediving. You will learn new breathing techniques which maximize the usage and efficiency of the respiratory system. Combined with relaxation techniques derived from yoga, you will learn how to slow the body’s metabolism, allowing you to hold your breath like never before! Under our supervision you will learn all the skills and knowledge to dive safely to depths of up to 20m! Continue your journey into the underwater realm with this advanced level course. You will be introduced to new training concept’s such as ‘warm-up’ diving and learn how to harness the power of the ‘freefall’. You will continue to develop your style and technique, further your safety and rescue skills and learn basic rigging of the freediving buoy and dive line system. You will learn about progressive training, practicing CO2/O2 tables and thoracic stretching. 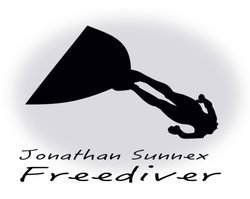 This approach will enable you further your diving independently. Longer, deeper and more relaxed dives are a guarantee! The pinnacle of the AIDA Freediving Program. This four day intensive course will take you to depths of up to 40m! This is the specialist deep diving course and it will equip you with the proper skills and knowledge to take you into the deep blue and beyond! You will learn about exhale diving, mouth fill equalization, packing, diet and nutrition for free diving, training for free diving. Upon completion of this course you may work as an assistant instructor on AIDA courses.